You may have noticed lately that I share my artistic side a lot. I mean a LOT( follow me on Instagram to see sneak peeks of my little paintings :-)) I enjoy creating as I always have, and I love to display the art I create around the house. Breakfast Room reveal was shared last week and now I am back at my MASTER BEDROOM. I still have not show you my bedroom in full reveal. You got a little peek of it in my SPRING HOME TOUR but there are a few things more to share before the reveal. I started working on our master bedroom last year and it definitely looks like IT is a forever evolving room. I started with a simple yellow and gray MOOD BOARD and now it has many other colors, which I love. 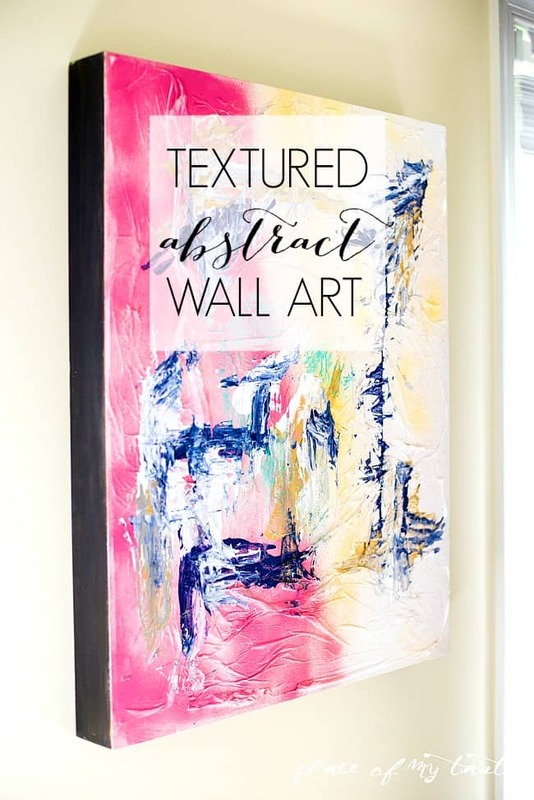 This large TEXTURED ABSTRACT WALL ART is hanging on the wall in the room as well, so today I will share a tutorial of how you can create an easy wall art on your own. I believe every house needs ARTWORK, so let’s do this! 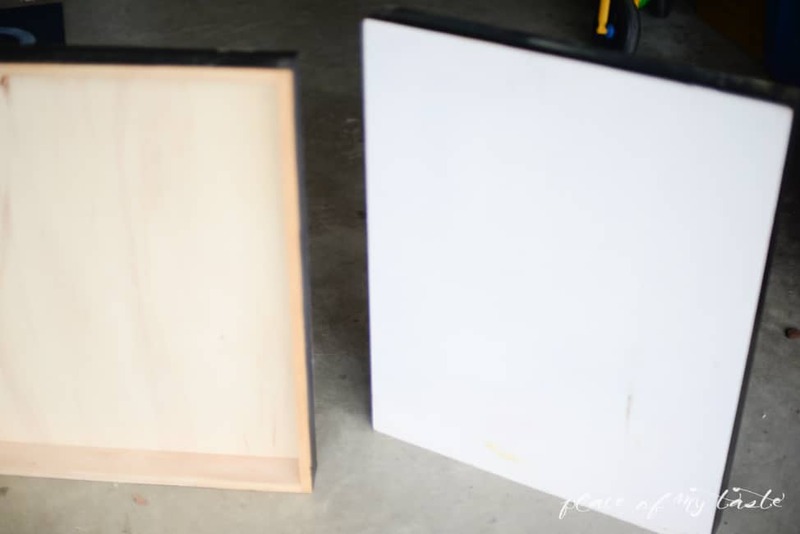 Years ago, before I even knew what a blog was – and before I started this little journey of mine here on Place Of My Taste -we made these huge, chunky wood box pieces ( for wall art). 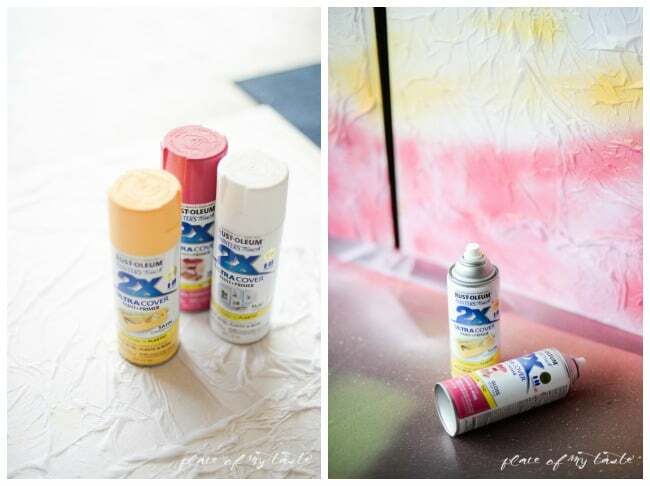 There were no pictures taken – of course- so I can’t show you how we made them but it was pretty simple. 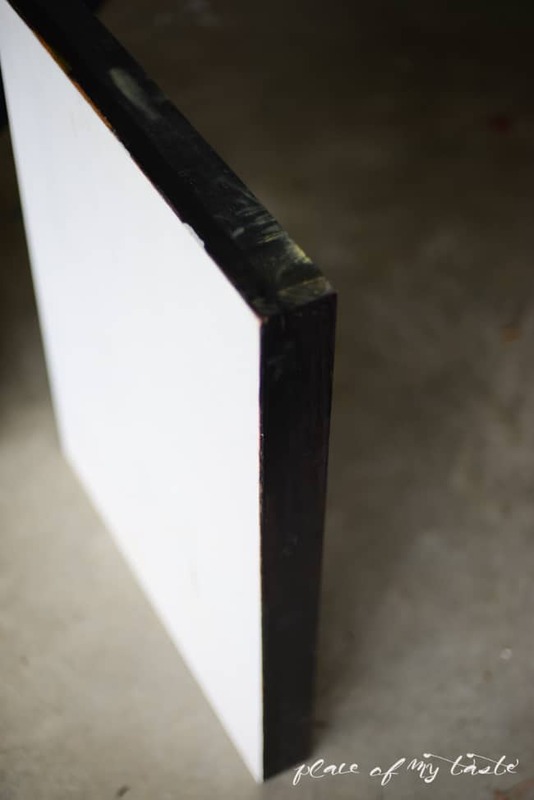 I love canvases for wall art too, but I wanted a bigger, chunkier wall art so we made these thick wooden pieces. We cut the wood to size ( ours are 26 x 32) and we nailed the corners together then I painted the sides with black paint. 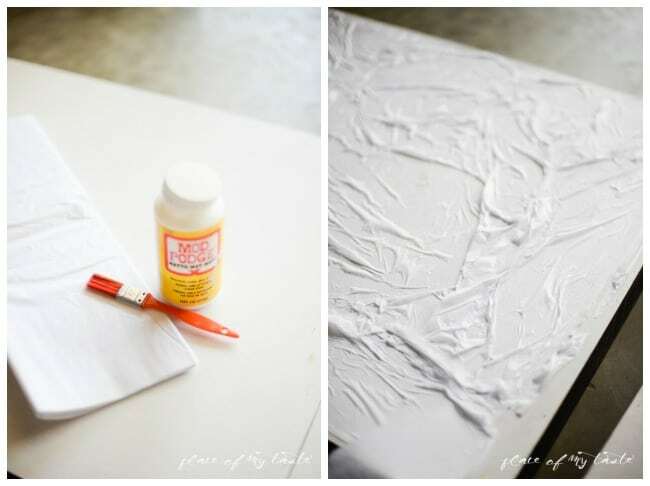 To create the textured surface I decided to mod podge some white tissue paper on the top of the wood. I mod podged the surface first then I nicely pushed the tissue paper on with my hand to create the uneven, textured feel. All I did was is that once my palm were on the tissue paper I moved my hand around that created this uneven, textured look. 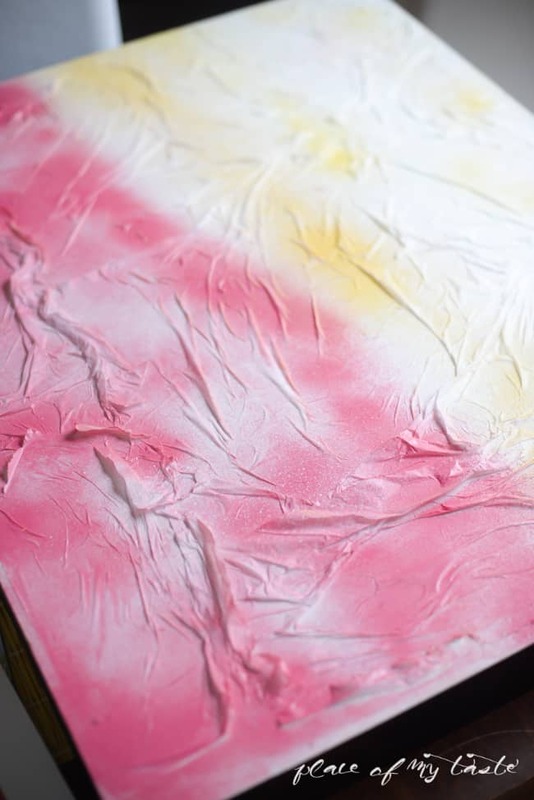 Then I spray painted my art piece with raspberry pink, yellow and little bit of white Rust-oluem paint. Just went on and sprayed a curve without any further planning of the design. 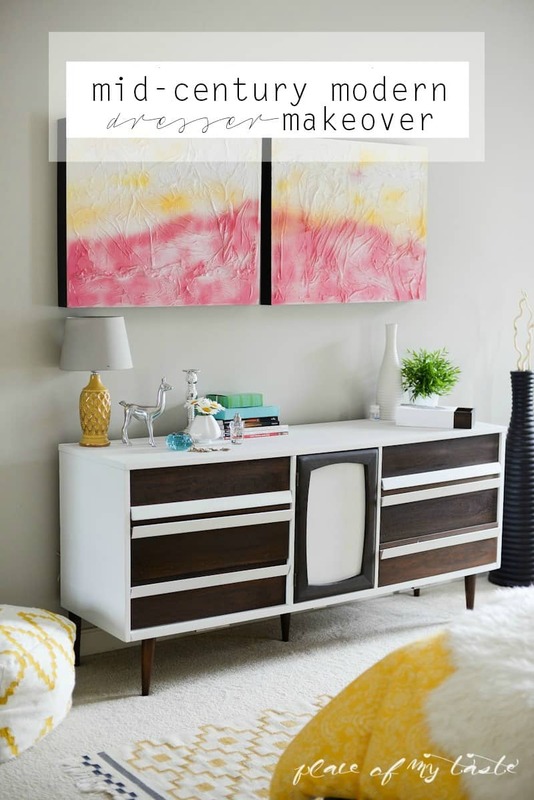 Once the paint was dry I hung my art pieces on my wall , above my MID CENTURY MODERN DRESSER. It looked good but I did not love it there very much so I took them off and painted little more personality on to them. That large area above the dresser now got a nice little GALLERY WALL – it is coming up on the blog soon! 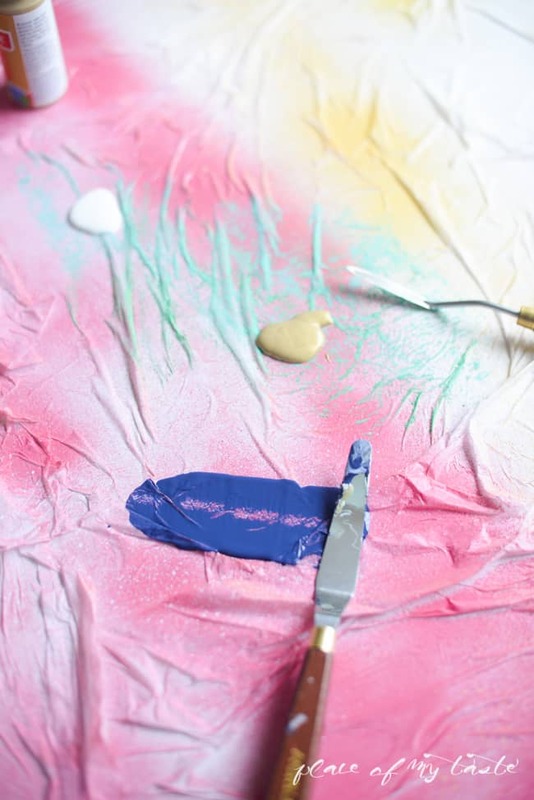 Using acrylic paint and my art tools I added some other colors to the palette. 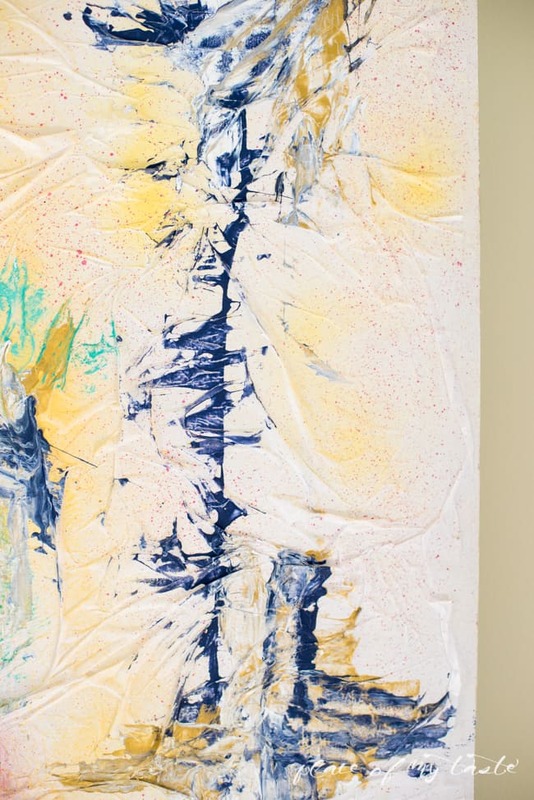 All I did was is that I poured some paint on and with my palette knife I smoothed the paint in different directions. 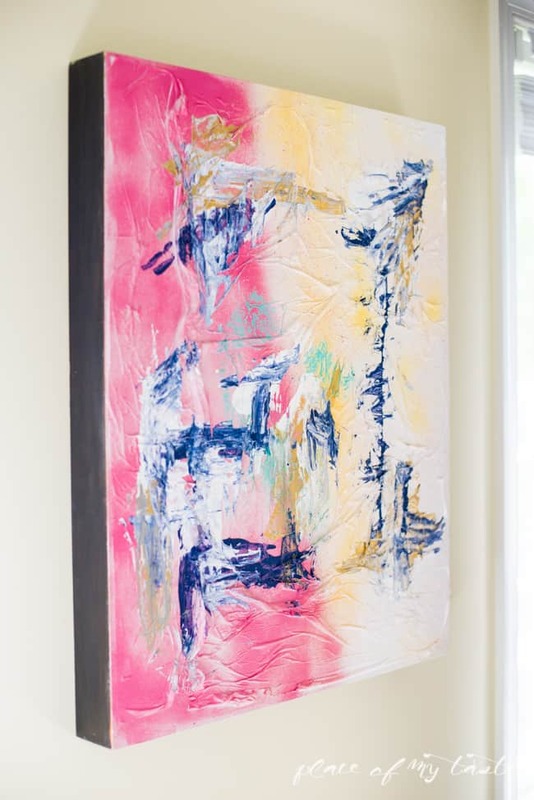 There is no right or wrong when you creating your abstract wall art. You can go any direction, any color any design – it will look amazing. Hope you like this easy tutorial! 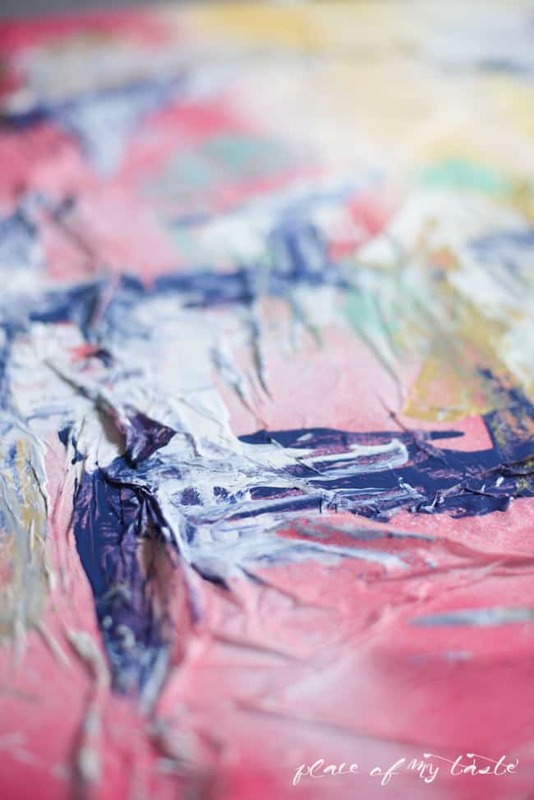 Let’s create something pretty for your walls! Cheers for creating something awesome today! Love the textured and color. So awesome! Thank you, Julia! Have a fantastic week! Let me know how you like your project when it’s done:-)Have a great week!